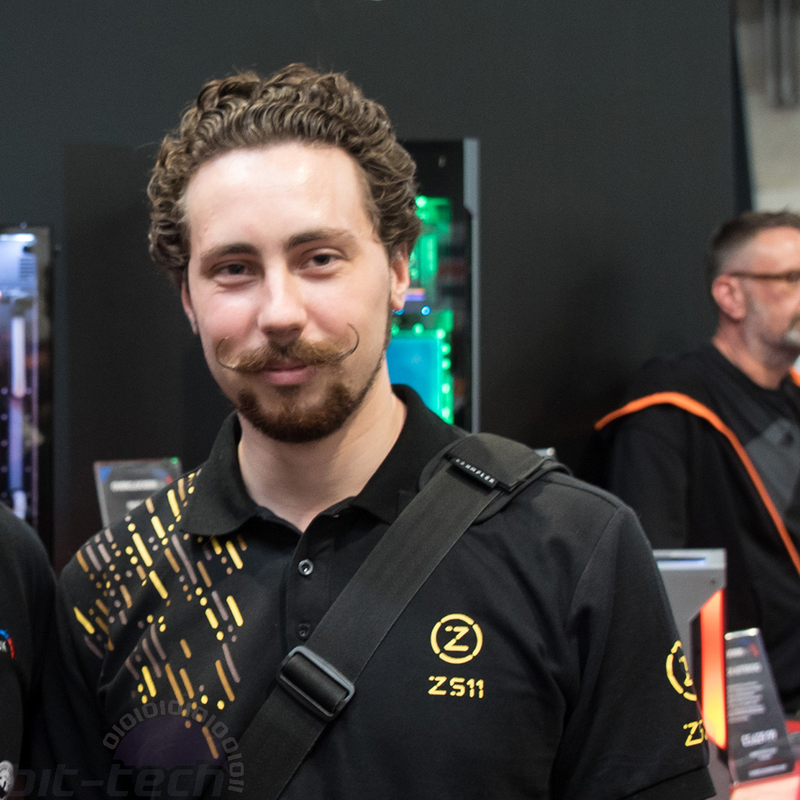 We start this piece with some sad news, which is that Dave Alcock - known to many of you as davido_labido - will be leaving the bit-tech team and moving on to a new role at Alphacool. From keyboard switch replacements to full system builds and even turning a motherboard into a clock, Dave's given us some great modding content and will be missed, but we wish him all the best in his new role. But every cloud has a silver lining, and this particular silver lining has probably been designed in CAD, rendered in painstaking detail, and CNC-machined into a thing of true beauty. 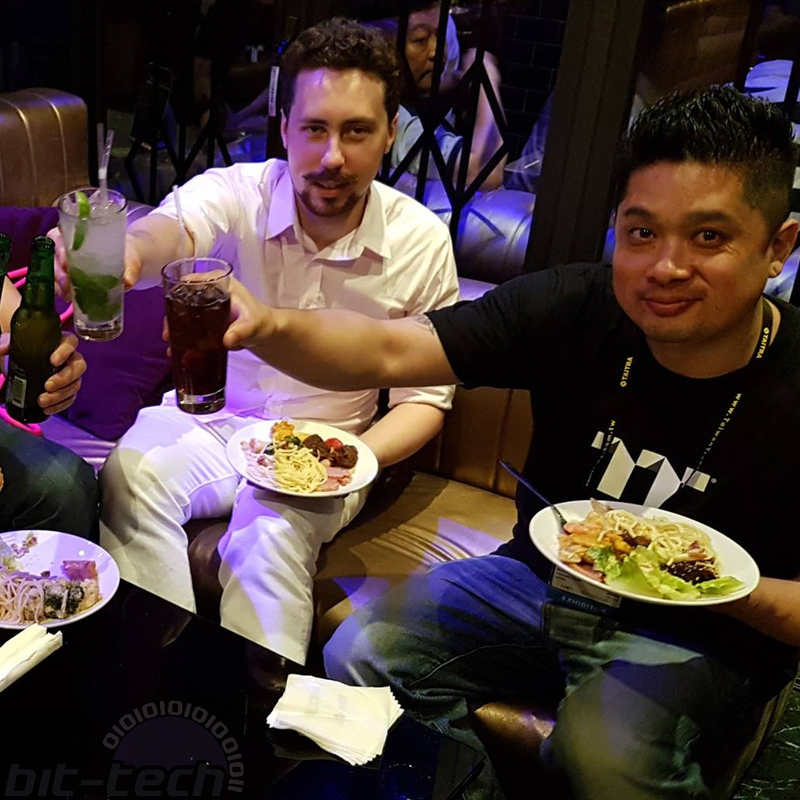 That's right - bit-tech is hiring Alex Banks, better known on our own forums and across the web as Maki Role, to take over all things modding. 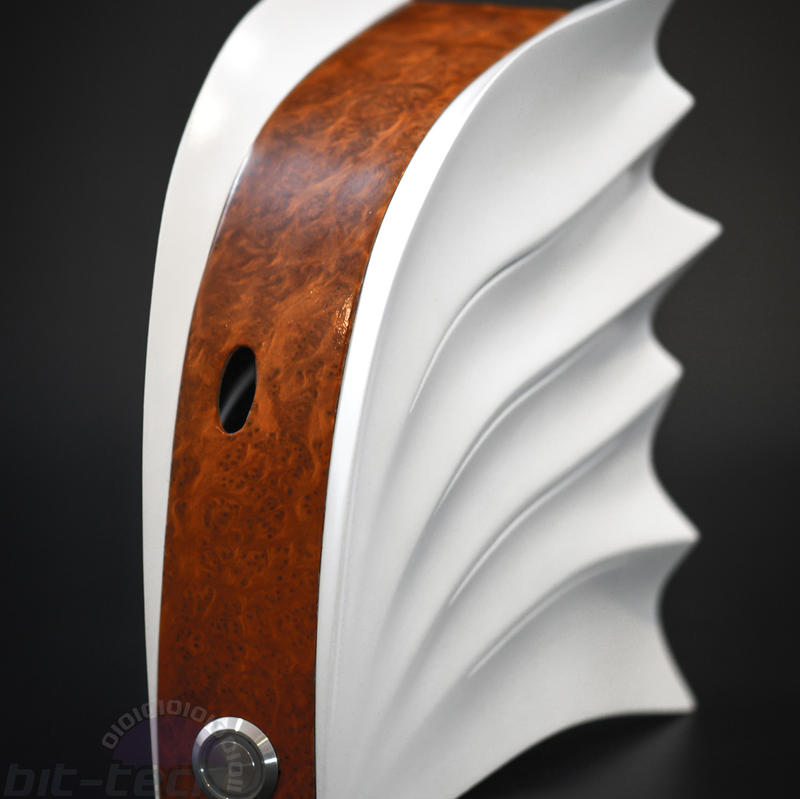 Known for some truly jaw-dropping mods, the logs of which you'll find on our forums, and introduced in greater detail earlier this year by Dave himself, Alex's modding credentials are well established and truly enviable. Alex is no stranger to bit-tech, having won our NUC enclosure contest, last year's Thermaltake modding contest, and even the scratch build portion of our prestigious Mod of the Year competition. We can't think of a more natural fit for the role, and we're thrilled to have Alex onboard to produce modding guides, videos, projects, events coverage, and more. We'll hand over now to Alex, who'll introduce himself with his own words and pictures. Hi, Alex. First, give us a brief history of yourself as a modder. Hello there! My modding story began in 2006 when I was introduced to bit-tech by my sister’s fiancé. I was a teenager at the time and very much into consoles rather than PC gaming, so the whole world of case modding seemed rather mysterious. I’ve always loved designing and making things; my school had a fantastic workshop, and I would spend many hours in my lunch break or after school working with metals and plastics on the various machines and benches. Naturally, the idea of using these skills at home to build computers fascinated me. It wasn’t until 2011 when I got my modding feet wet. I had finally built my first PC, and I took it as a chance to start dabbling in some of the simpler mods like installing lighting, improving case airflow, and eventually water-cooling. A year later I had become rather fed up with the noise (the component TDP was way too high for the cooling surface area I had) so embarked on what I would say was my first proper mod. 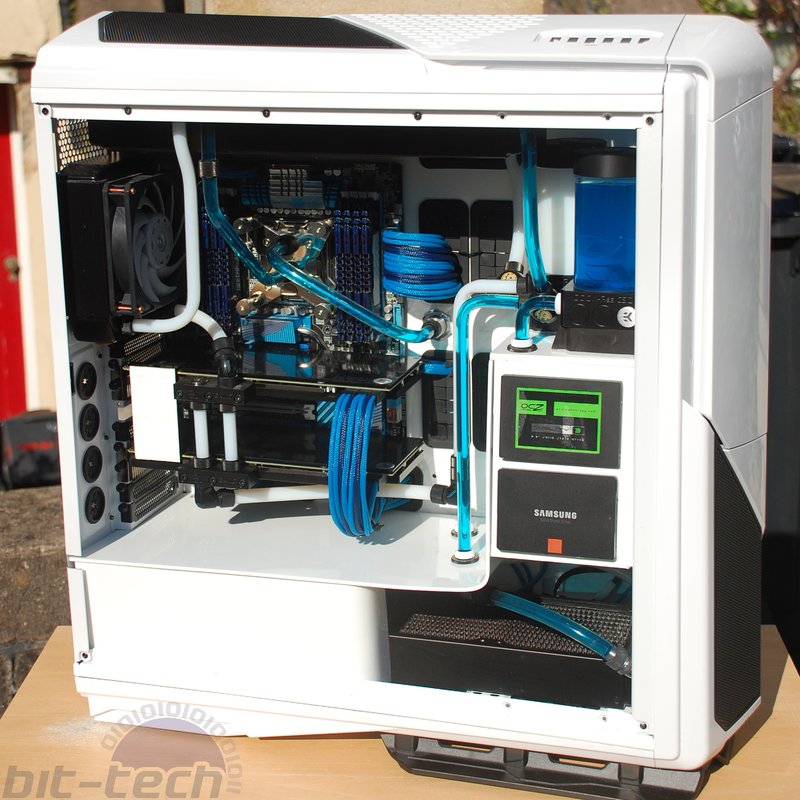 Bigger case, bigger cooling, sleeved cables, and what was novel at the time: rigid acrylic tubing. Having a go at this case with a Dremel in my small university dorm is probably an experience many here can relate to, haha. I took pictures and set it up as my first log on bit-tech; after that, I was hooked. Things really started to move, however, when I entered to take part in the 2013 'Design a NUC Enclosure' here on bit. My proposed design was picked as one of the finalists, where we then got to bring our creations to life. I ended up placing first in this contest with 'Vesper', which had a largely 3D printed structure supported with wood and metalwork. Vesper would later secure my first nomination for Mod of the Year. 2014 was a very big year for me; off the back of Vesper I was able to secure some part sponsorships that allowed a very exciting build. 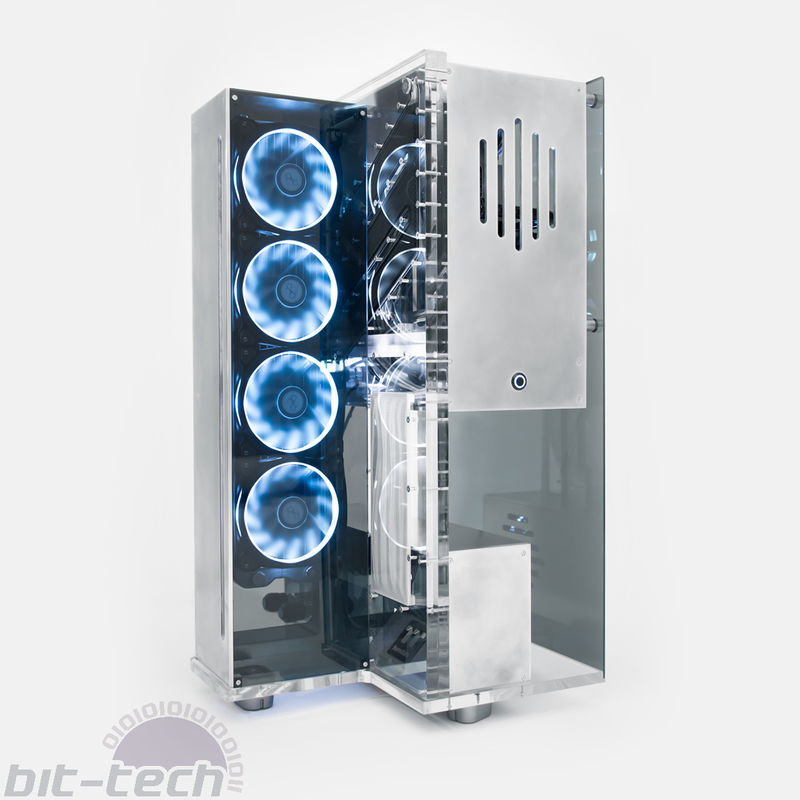 'Loramentum' was a wall-mounted chassis that was CNC-cut from 10mm acrylic slabs, and crucially it contained the water-cooling routes inside the frame itself. 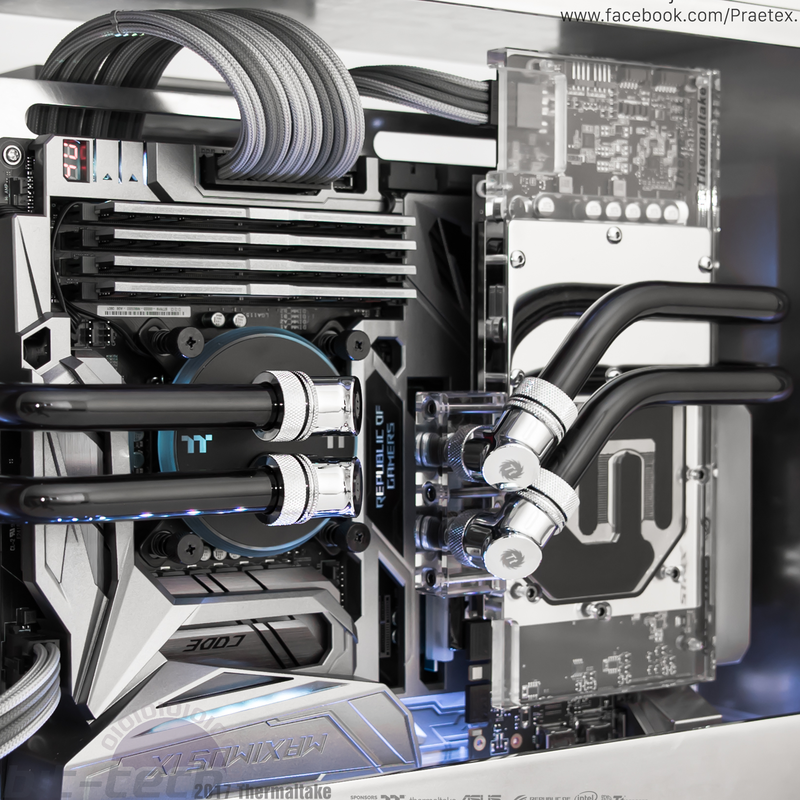 This build not only cemented a style that I would come to embrace in many future projects but would help establish working friendships with the lads over at Parvum Systems, without whom it’s likely many of my projects simply wouldn’t have been feasible. Loramentum would also go on to be nominated for Mod of the Year and pave the way for a number of successful later builds. What's been the highlight of your modding career? Hmm, this is tough one. It would likely be a mix between two different events. 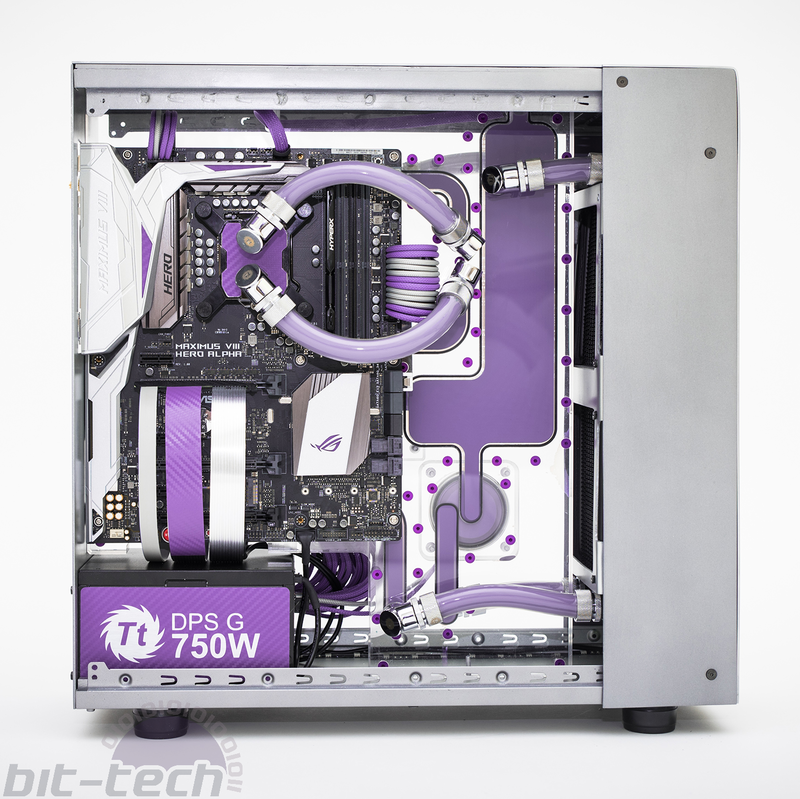 The first would be placing first in the Thermaltake UK Modding Trophy, hosted here on bit-tech, with my project 'Exsectus'. This was huge, as it enabled me to visit Computex in Taiwan. Computex was simply a phenomenal experience, as I got to spend time with so many familiar faces from here and communities around the world. It really helped to cement just how international the field really is and how much variety and potential there is for creativity. I made some very close friends that trip; it was most definitely a life-changing experience. The second would be winning Scratch Build of the Year 2016 with project 'Aetos'. The Mod of the Year contest always filled me with awe as I was growing up. Seeing all these mental creations on show from the community - it was mind-bending stuff. So to be included among their ranks was something of a dream come true. Well, much of 2017 was spent upgrading my workshop capabilities with the view to producing some very special content in 2018. I like to keep things quite open, because frankly you never know what will fall into your lap, but expect lots of metal! What sort of content are you most excited to produce and share with bit-tech's audience? I’m very much looking forward to both adding to the available modding knowledge on the site and branching out into video. When combined with text appropriately, video has the ability to show techniques and possibilities in a way that can be truly valuable. Similarly, I really want to be able to provide resources that will be useful to both beginner and experienced modders alike. 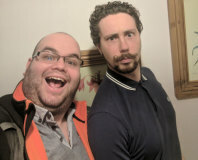 Much of what I learned when starting out was from the forum users here, so if I can provide that same helping hand to others, I would consider the venture a success! Has the modding scene evolved much since you first started following/taking part? Oh, things have changed enormously over the last 10 years, even more so if you ask some of the users who’ve been modding since the 90s and beyond. There are a number of factors for this, and we could argue back and forth forever about whether all of them are positive changes or not, but I can think of a few that in my opinion are quite substantial. One area that has definitely affected modding as a whole is that manufacturers devote a lot of resources now to aesthetics. In the past, the primary concerns were elements like raw speed and reliability, but certainly in recent years these points have become less and less relevant. You only have to read current generation motherboard reviews to see how the boards from the big manufacturers all perform within a couple percent of one another in most tasks. Likewise, overclocking has changed substantially as processes have shrunk and markets changed. With these considerations, manufactures are definitely pumping investment into the appearance of their products so that they can stand out. I would say that modding in the past had much more necessity to it. If you wanted to water-cool, you likely needed to mod your case to fit the radiators, which themselves may have needed to be salvaged from cars or bikes. Nowadays even budget cases have ample water-cooling support built in; the same goes for windows, lighting, cable management - you name it. In light of this, if you wish to mod now the chances are it will be because you want to rather than have to. Modding itself has also become a large industry in its own right too. Shows such as Computex thrive on using mods to display new products, which in turn has allowed a fair number of people to transform their hobby into a profession. This change has thus enabled a fantastic number of possibilities, a CNC-machined reservoir nowadays is almost a regular affair, but 10 years ago it would have been cutting edge material. In my spare time, I often work with first time water-cooling enthusiasts to help them get over the knowledge hurdles in the field. These folk are producing builds that likely would have landed them Mod of the Year nominations on here in years past; it’s incredible to see how fast the area has moved.